At my last company, we had a customer that drove just about everyone on our team crazy. I’ll bet you have a customer like that, too. The customer was the department head of a large hospital that accounted for a moderate amount of business annually. He was extremely demanding. For example, his failure to plan yielded warnings from the area fire marshal, hence he expected service from us within one hour of his request, which geographically alone was impossible. He wanted free service because the hospital is a nonprofit, when we had already discounted his service by 30%. He rarely paid his invoices in less than 120 days. He would berate our receptionist if the person he was calling was not immediately available. This customer was an issue for my company and a stress-inducer for my employees. We all have issues in our professional lives from time to time. Issues can be a topic that people are discussing or debating, can be internal or external, and can include just about anything from people to processes to customers, like my example above. An issue could also be an incomplete project, an employee who doesn’t buy in to your Core Values, or an employee who is not in the right seat in your organization. Whatever the issue is and however difficult it is to deal with, you must be strong and do what is best for your business. I like to tell my clients that there are seven days in a week, and Someday is not one of them. You need to deal with your issues today. One of the best ways to manage your organization’s issues is to put them on a list. The Entrepreneurial Operating System ™ (EOS) uses lists as a way to organize your issues so they can be openly discussed. There is a designated place for issues on the Vision/Traction Organizer tool, on the leadership team list and the departmental issues list. Identify – You begin by identifying what the issue is. This process is harder than it sounds, and probably takes the longest of all the tool’s steps. 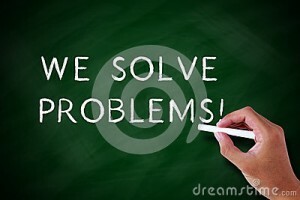 Often times what you think is an issue is actually only a symptom of the real issue. You need to dig deep. Discuss – This is everyone’s opportunity to say what he or she needs to say about the issue. You should create an environment where your employees can discuss the issue openly and honestly. Solve – This is the conclusion or solution that becomes your action. You’ll need to do what’s best for your entire company, not what is best for just one department. Take charge and put your issue to rest. Once my company implemented the Issues Solving Track tool, we were able to openly Identify, Discuss, and Solve our customer issue. The end of the story – we politely and professionally “fired” our customer and reduced our team’s stress. Within six months he was begging us to return because he was unable to find a vendor that approximated the quality, efficiency, and effectiveness of our service and could match our cost. We have no idea if he ever found a qualified vendor. 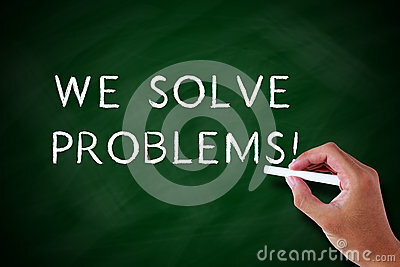 Do you need help identifying your business’s issues? If so, we can help.